Our products are of Dutch origin and our plant nursery uses only the tops of organically produced plants. We use the extract as nature intended. That is important for the correct effect and success of the products. Email us for the latest test results. CBD oil is a dietary supplement. The abbreviation stands for cannabidiol CBD, this is a plant-based substance that occurs naturally in hemp plants. CBD is extracted from parts of the hemp plant and is 100% plant-based. Depending on which part of the hemp plant the CBD is extracted, the quality of the CBD might be different. Because CBD is naturally paste-like, this CBD paste is mixed with a liquid such as oil. This creates CBD oil. 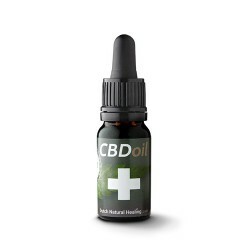 The CBD oil from Dutch Natural Healing is extracted from the tops of our own organically grown hemp plants. We don’t use industrial hemp, we really grow our own hemp plants with the utmost care. So we don’t only sell CBD oil, we also produce it. This makes our CBD oil of the best quality. It is super important to us to produce the best CBD oil, day after day. 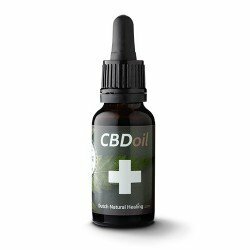 How is CBD oil taken and what is the appropriate dosage? You can take CBD oil drops pure, preferably under the tongue. The appropriate dosage may vary per person, that’s why you can start with to or three CBD drops per day and build up that dosage over time. You may need to try out different dosages for an effective treatment. Do pay attention to the percentages CBD in the CBD oil! The percentage of CBD can vary per type of CBD oil you buy. Also be sure to read the manual when buying CBD oil. You can also talk to a healthcare professional for medical advice. CBD oil is sometimes confused with weed oil, cannabis oil and THC. Yet there is a big difference: these oils are made from cannabis plants, these contain the psychoactive substance THC. THC is not present in hemp, from which CBD products are made. CBD and THC-based products are for that reason entirely different. Do you want to buy CBD oil? Then you found the right website! We only sell high quality CBD oil, which we also produce ourselves. We also sell other products containing CBD. In the UK (and most other European countries), CBD oil may not contain more than 0.05% THC to be legal. If that’s the case, the CBD oil has no psychoactive effect and you can not get high. So THC and CBD are really different. The CBD oil UK from Dutch Natural Healing naturally meets this requirement. This way you can enjoy the effects of cannabidiol without THC. Curious about the health benefits of CBD? CBD is said to help with pain relief and soothe all kinds of aches and pains. 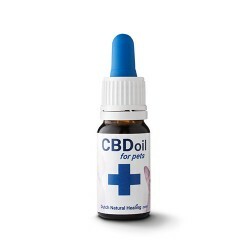 Taking CBD drops may help in preventing migraine, may help in reducing anxiety and may help in pain management when you’re suffering from chronic pain. 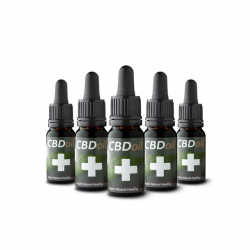 The health benefits of CBD can also vary per person, same as the effectiveness in treating. CBD may help with rheumatoid arthritis, may help for certain forms of epilepsy, may help in reducing pain and may help for people with an anxiety disorder. Studies suggest that CBD can have all kinds of positive effects on the human body. Please email us for the results of the latest studies, clinical trials and health news. We believe in the benefits of CBD as an alternative medicine! Buying CBD at Dutch Natural Healing is choosing for quality. Our CBD oil is the richest in terpenes and you can also buy the largest variety of cannabinoids from us. Moreover, we promise that our CBD oil gives the best entourage effect. You buy the best CBD oil at Dutch Natural Healing! Be sure to check out our CBDactive+, a drinkable and water-soluble alternative. Of course we also sell CBD pure, such as CBD isolate and CBD paste, obtained by CO2 extraction. Do you still find something unclear or do you want personal advice? Ask our customer service a question! Interested in the latest test results? Then you can email us.